Welcome to the official home page of the West Coast Wolverines, an American football (gridiron) club based in Joondalup, Western Australia. The West Coast Wolverines consist of a junior squad (age 14-18), a mens squad (age 19+) and a women’s squad (age 19+) with the season running from October to February. Do you think you have what it takes to become a star player, or would you just like to learn a new sport and be a part of the Wolverines family? Submit your details on the right and we’ll get in contact with you to discuss the team! The Wolverines are Recruiting Now! Register your interest to play with the Wolverines here. 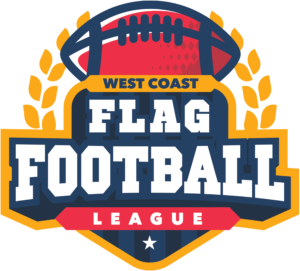 The West Coast Wolverines have recently launched a brand new Flag Football League. Flag football is the fun, social, non-tackle version and a great introduction into the wonderful game of American Football. Create your very own team or join up by yourself to be apart of the next West Coast Flag Football League which will take place in March 2019. Check out our Flag Football page for more information. Also head over and follow the West Coast Flag Football League on Facebook. Support the wolverines with an entertainment book! We are raising funds for our Club through the Entertainment Book. Order the NEW 2018 | 2019 Entertainment Book or Entertainment Digital Membership and you will receive hundreds of valuable offers for everything you love to do, and you will also be supporting the West Coast Wolverines. Click below to purchase yours today! Keen to join the action? Subscribe below to receive the West Coast Wolverines newsletter.